Alison Cathcart. 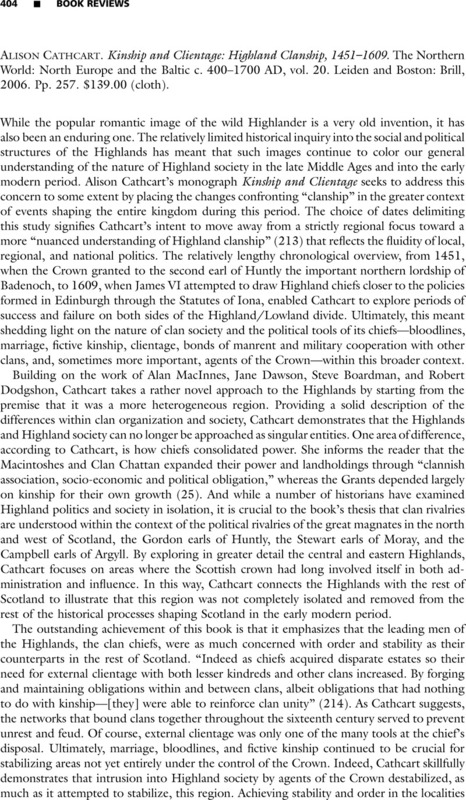 Kinship and Clientage: Highland Clanship, 1451–1609. The Northern World: North Europe and the Baltic c. 400–1700 AD, vol. 20. Leiden and Boston: Brill, 2006. Pp. 257. $139.00 (cloth).